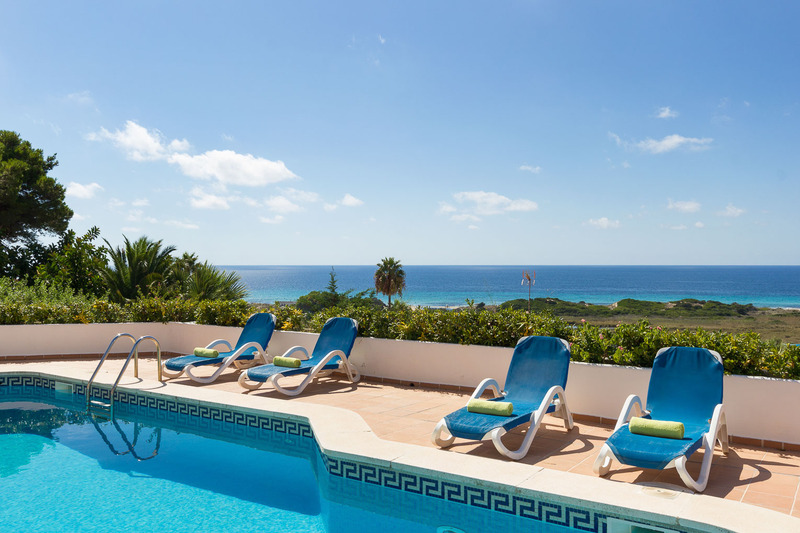 Villas Gran Vista Son Bou (Villa 49, 49A & 49B) is a large house situated on the hillside overlooking San Jaime just 900 metres from the beach and sub divided into three two bedroom properties each with direct access to the large south facing pool area. 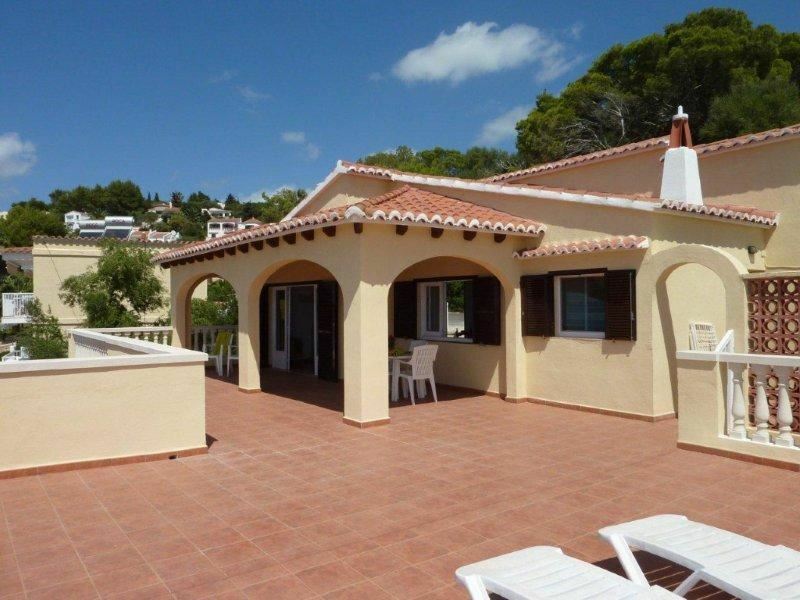 The top floor villa, number 49, is approached from the cul de sac at the rear whilst the two below are approached from the front of the house via steps in which case these properties are not suited to families with young children or guests with walking difficulties. 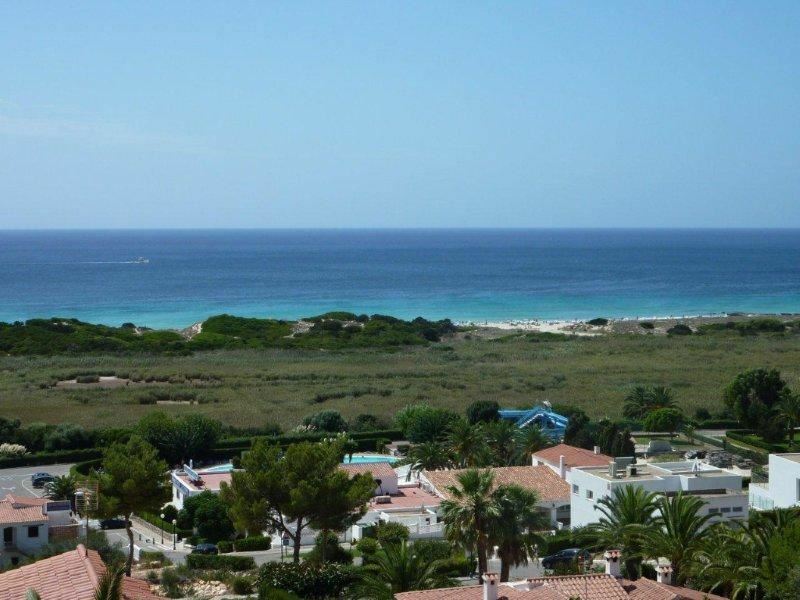 The apartments have been recently refurbished and are equipped with hot/cold air conditioning, widescreen TV and a safe. 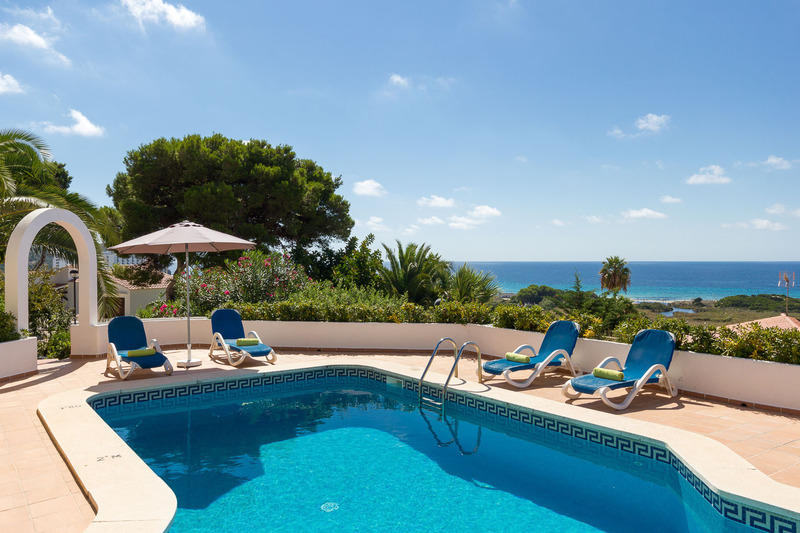 Each villa has two twin bedrooms, one full bathroom and a fully equipped kitchen with a fridge-freezer, microwave, ceramic-flat surfaces, oven, dishwasher and toaster etc.. 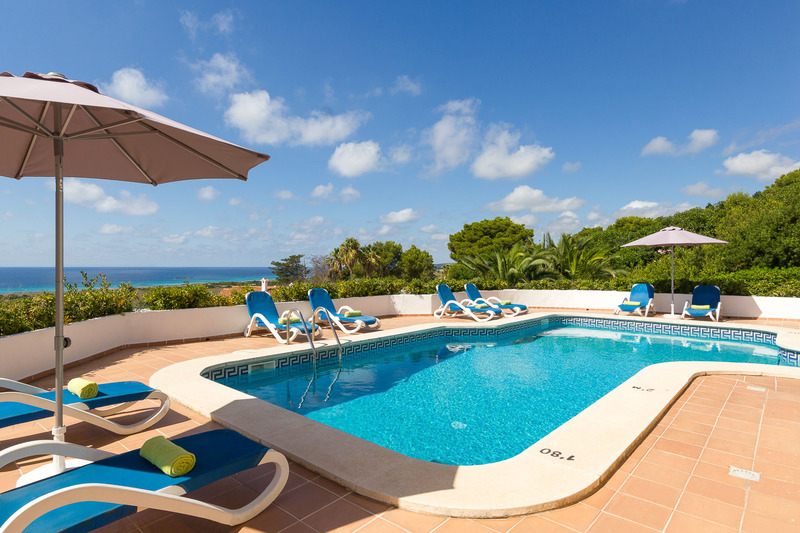 The communal pool measures 9 x 4 metres and is surrounded by spacious terraces with sun beds and an external shower. There is also a built in barbecue and summer dining area. 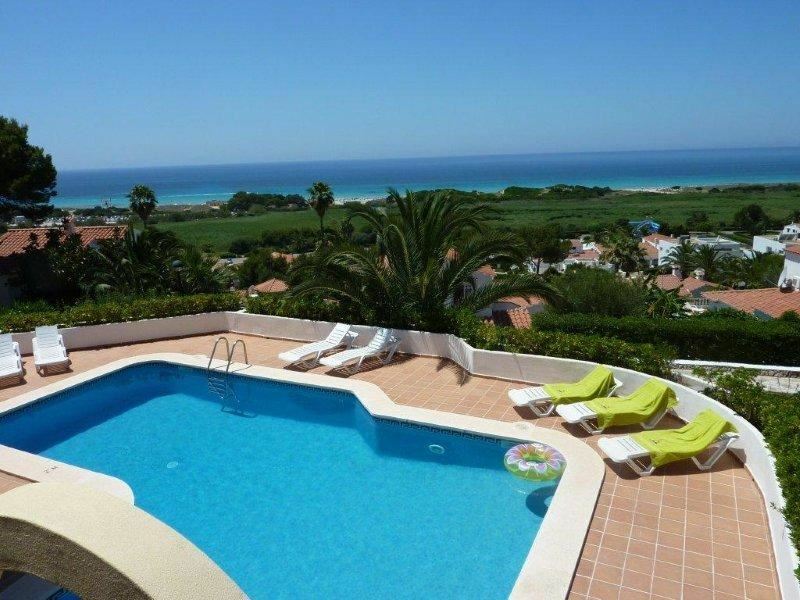 The pool has a maximum depth of two meters and a shallow end of 1.10 meters. 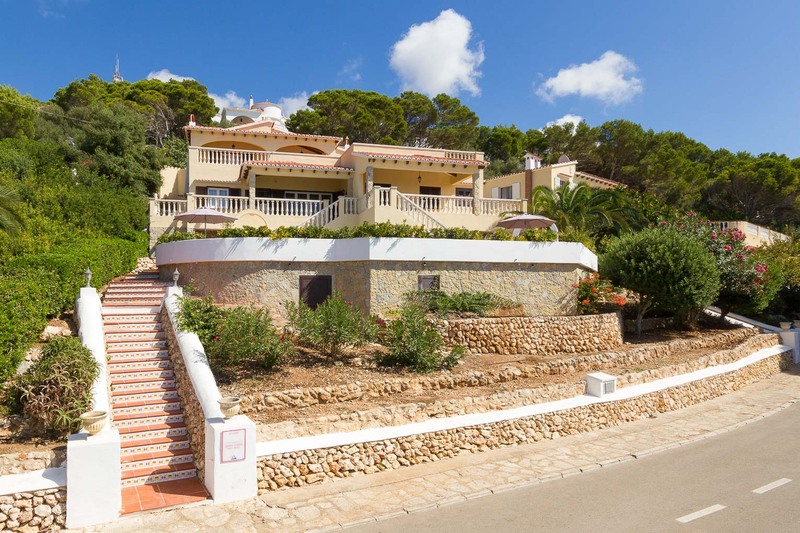 Surrounding the villas are shrubs, vibrant floral beds and pines trees.